Don’t let pests bug you! Call Pro-X Services Pest Control today to get the job done right the first time! After 15 years of professional extermination experience, I realized customers were being treated as dollar signs rather than people. 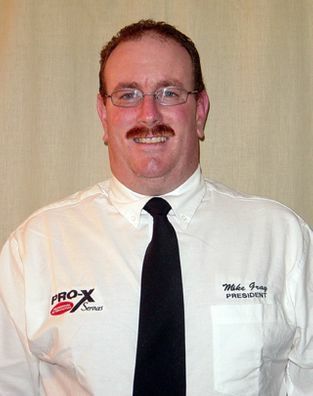 So in 2006, I formed Pro-X Services Pest Control to provide personal and professional pest control services to the residents and businesses of Durham, Scugog and Uxbridge Townships. Because of my dedication to giving each and every one of my clients personal attention to their particular pest problem, repeat business and referrals have played a crucial role in my company’s growth. Getting rid of everything from bed bugs, spiders and fleas to raccoons, rodents and pest birds, Pro-X Services Pest Control is your total pest control company. Call Us Today at 905-576-4807 for a Free Estimate! Pro-X Services Pest Control is committed to providing you with a customized service that fits your unique needs and requirements. I am dedicated to treating you like an individual not a dollar sign. Also, as an avid outdoorsman, I take great care to perform my services while being as environmentally friendly as possible.